Nokia is working on releasing a smartphone based on Android OS. This is going to be a first Android-smartphone by the Finnish company Nokia. It seemed that the project and will not be realized, especially given the fact that Nokia's mobile division belongs to Microsoft, which is promoting its own mobile operating system Windows Phone. However, according to the latest figures, Nokia Normandy still come to light, and it will happen very soon - March 25. This assumption appeared after the Network Interface flowed screenshots Normandy. Android interface in Nokia Normandy been extensively revised and is more reminiscent of Windows Phone, than the operating system from Google. On the same date of the announcement by hints, smartphone will be put up for display. The screen Nokia Normandy is displaying the date - 25, and day of the week - Tuesday prominently. The first assumption was that the announcement will take place at the MWC in Barcelona, ​​as the exhibition just opened on February 25 and this will be Tuesday. But then came the second screenshot, where the date was specified - on March 25. Indeed, and on February 25 and March 25 - this Tuesday. On the other hand, March 25 may be any date - a birthday of the project manager Normandy, casual date or an allusion. However, cases thus hinted at the date of announcement of the smartphone, as happens quite often. 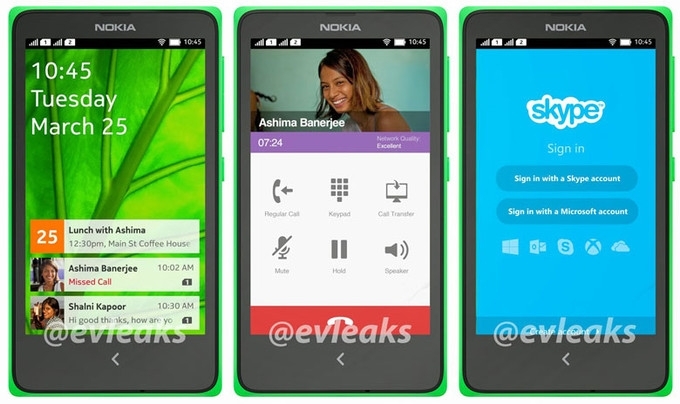 So on this day we can expect that Nokia to still present as expected by many smartphone based on Android.